Many Reasons is the project of Michele and Raffaele, a duo of producers hailing from North Italy. The guys have made their name thanks to their unique trademark style of old school Techno vibes mixed with new musical experimentations, where dark and deep atmospheres create the ambience for more intricate moods. Complex sonic landscapes grab the listener’s attention, bringing the club experience to another level. 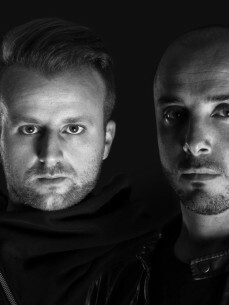 Their ear for the more melodic side of the underground sounds has seen them release an impressive number of EPs on labels such as Richie Hawtin’s Minus and Carl Cox’s Intec, and on their own Amazing Records, which - now in its 8th year - has gained widespread praise and positive feedback from most DJs.